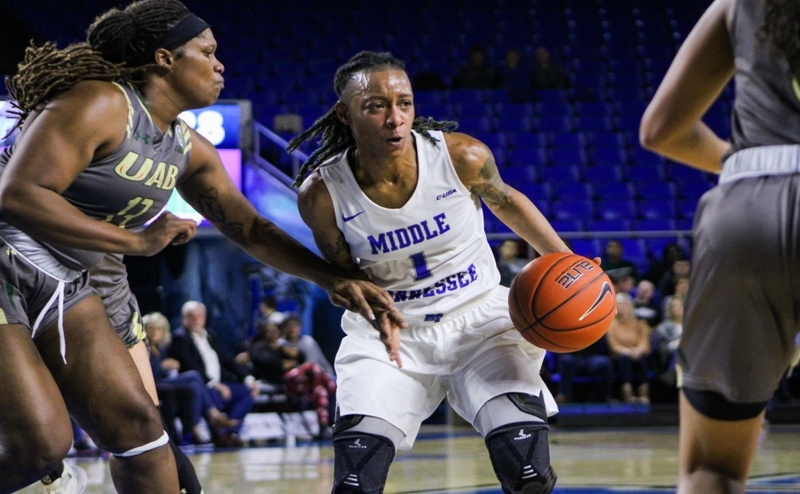 The Middle Tennessee Lady Raiders (11-8, 3-3) were defeated by the Southern Miss Lady Eagles (11-7, 3-2) by a score of 61-53 on Saturday. In the head-to-head series, this is the Lady Raiders’ third straight loss to USM. Middle Tennessee’s offense put together a better first half than recent games with 28 points, but the defense couldn’t stop the Eagles. Southern Miss scored 34 points in the opening act, the most by a MTSU opponent since Louisville on Dec. 9. The Lady Raiders shot a mere 37.5 percent (9-24) from the field and 36.4 percent (4-11) from three-point range in the first half. 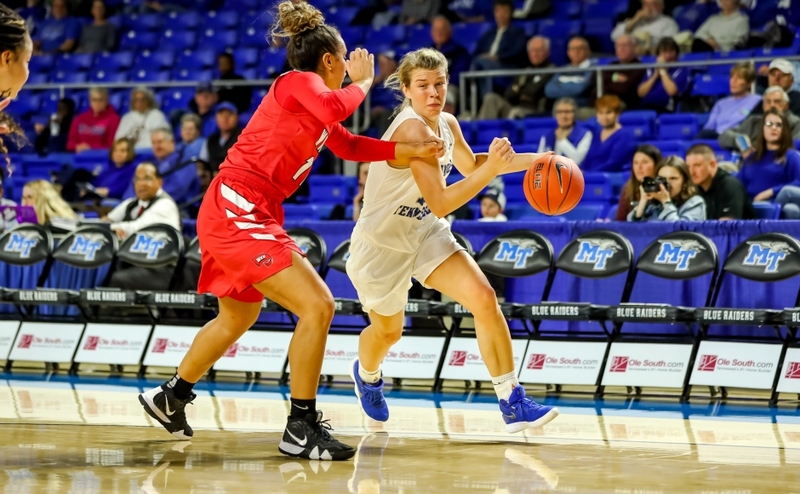 Middle Tennessee started the second half with a 5-1 run to cut the lead down to three, but the defense couldn’t get the necessary stops to take the lead. The Lady Raiders’ deficit still sat at six points when the third frame ended, as the Eagles took a 46-40 lead to the fourth. Middle made one more push with two minutes left in the game, as they were only down by two after a layup from junior Alex Johnson. 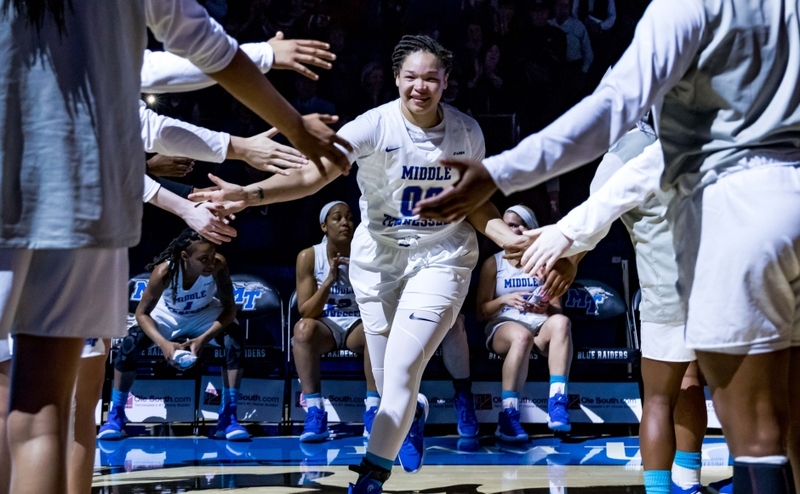 MTSU failed to score the rest of the way however, and Southern Mississippi closed the contest on a 6-0 scoring run to win by a final score of 61-53. Overall for the game, Middle Tennessee shot 31.8 percent (14-44) from the field and 33.3 percent (8-24) from three-point range. Johnson had a productive game in her second one back from injury, contributing 17 points, five rebounds, three assists, two blocks and one steal for the Lady Raiders. 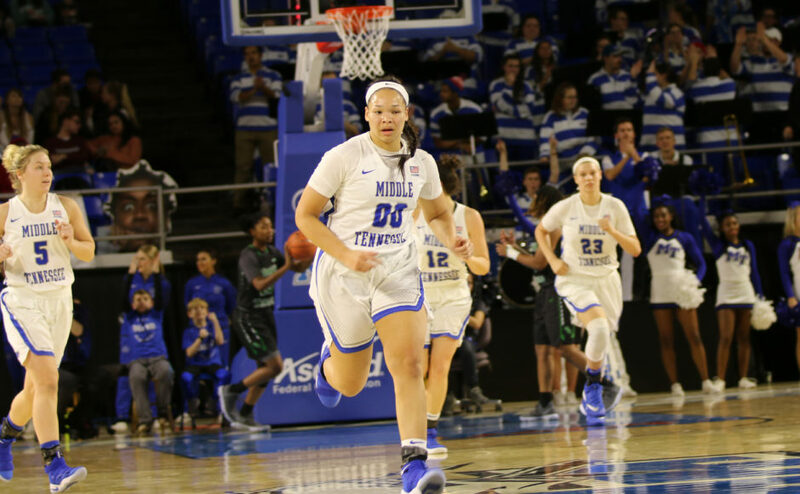 Freshman guard Anna Jones and senior forward Rebecca Reuter each added nine points for MTSU. 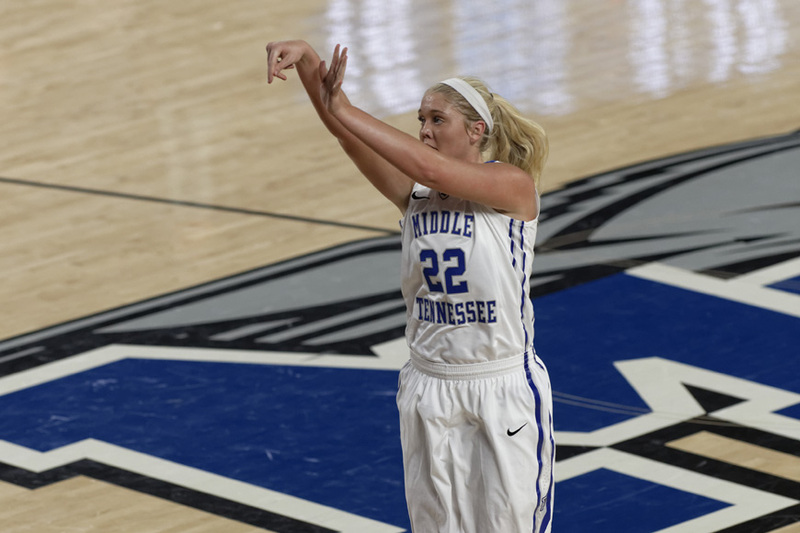 The Lady Eagles controlled the boards in the game, out-rebounding Middle Tennessee by a mark of 42-25. They also held the Lady Raiders to only 11 offensive rebounds, limiting second chance opportunities for the home team. 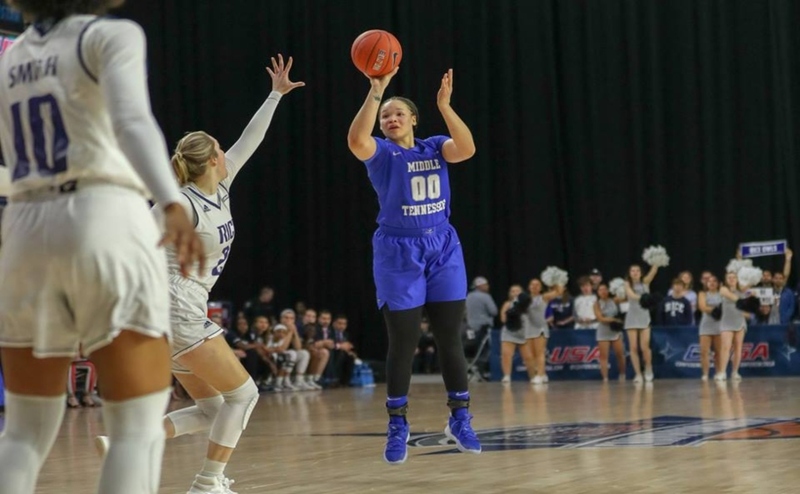 Senior and leading rebounder Gabby Lyon only had one rebound of the night, a number that Insell knows can’t become a regular occurrence in conference play. The defense also allowed the Eagles to score 12 second-chance points as opposed to Middle’s seven. The Lady Raiders will hit the road to play the Marshall Thundering Herd on Friday, Jan. 26 at 5 p.m.